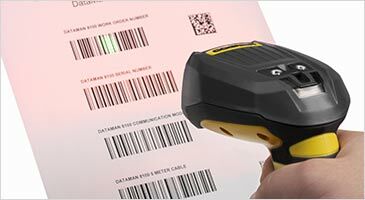 DataMan® 8050 series readers are equipped with Cognex’s world-class barcode reading algorithms and designed to withstand harsh factory floor conditions. The best in class algorithms decode even challenging barcodes quickly and easily including Direct Part Mark (DPM) codes. Also, the flexible modular design ensures the DataMan 8050 series readers are ready to meet ever-changing communication needs. 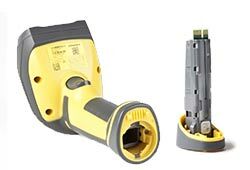 The DataMan 8050 series of industrial barcode readers feature field interchangeable communication modules, and enable one reader to be configured to meet specific communication needs to support corded RS-232, USB, and Ethernet options, as well as cordless options including Bluetooth and Wi-Fi. Advanced Control Solutions is a Cognex DataMan 8050 distributor in Georgia, Tennessee, Alabama and Mississippi. We offer free evaluations and technical support to help our customers solve their applications.